Frank W. Minor was elected Mayor of Logan Township, New Jersey, in 2003. He is currently serving his fourth consecutive term. During his tenure, he created the Logan Township Economic Development Council, which has helped attract over 80 new companies to Logan Township since 2006. As mayor, Frank Minor is responsible for managing a 10 million dollar municipal budget and overseeing one billion dollars in tax ratables. In 2005, Mayor Minor was elected to the Board of Directors of the New Jersey Conference of Mayors. In 2008, he was selected to be the Delegation Floor Whip for the New Jersey at the Democratic National Convention in Denver, Colorado, and worked to elect Senator Barack Obama as the 44th President of the United States. In 2012, Mayor Minor was again elected as a District Delegate representing New Jersey at the Democratic National Convention in Charlotte, North Carolina, and worked to re-elect President Obama to a second term. In 2009, Mayor Minor was appointed as Deputy Executive of the Delaware River and Bay Authority, only the second person to ever hold the position. As Deputy Director, he was responsible for economic development, marketing, communications, property management, and governance activities of the Bi-State agency. In 2011, Mayor Minor began The Minor Foundation, established to promote the advantages of academic achievement to economically disadvantaged students who otherwise may not value advanced education or see the benefit of attending college as a pathway to success. Frank Minor served as President of the Gloucester County Minority Coalition from 2000-2003, and in 2004, was elected President Emeritus. As President, Mayor Minor established the Gloucester County Minority Coalition Scholarship Program which has awarded over $100,000 to more than 150 college-bound high school seniors. 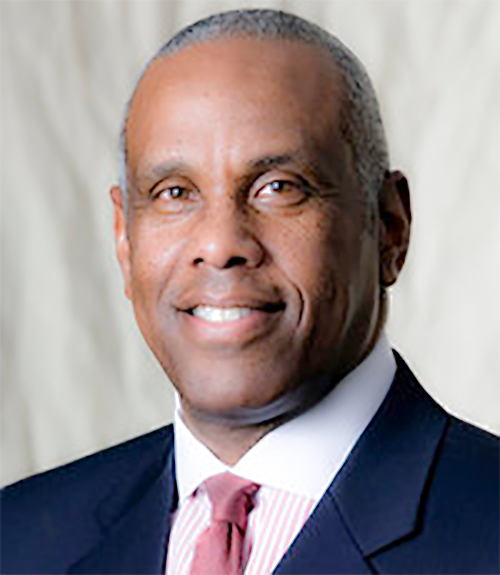 In 2013, Mayor Minor was appointed to the steering committee of the William J. Hughes Center for Public Policy at Richard Stockton University Of New Jersey. The Hughes Center conducts research on public policy and economic issues facing South Jersey. It also sponsors research projects on the state’s environmental resources, community development, and citizen engagement, as well as sponsoring public debates. In 2016, Mayor Minor was elected Vice-President of The New Jersey Black Mayors Alliance for Social Justice. Mayor Minor has received numerous awards and honors, including the New Jersey State Federation of Colored Women’s Club Outstanding Citizen’s Award in 2002. the Northeastern Association of Women’s and Youth Club’s Inc. Community Service Award in 2004, the Salem County Board of Chosen Freeholders Community Builders Award in 2005, the Upstream Navigator Award given in memory of the late Judge Elliot G. Heard in 2006, the Government Leader Award from Calvary Community Development Corporation in 2007, the Community Partnership Award from the National Multiple Sclerosis Society and the South Jersey Builders Trades in 2008, the Gloucester County Human Relations Commission Humanitarian Public Service Award in 2009, the Gloucester Minority Coalition Man of the Year Award in 2010 and the NAACP Presidential Award in 2012. Frank Minor is a graduate of Syracuse University, where he received his Bachelors of Arts Degree in Sociology. He is married to the Honorable Sarah L Minor, JWC. They are the proud parents of two children, Brooke and Jordan, and the grandparents of Micah.